All the pundits expect Wigan to be struggling against relegation and Spurs challenging for a Champions League place but on this performance you would be forgiven for thinking that each team’s prospects could be reversed. Wigan were the more authoritative throughout and should have been at least two goals ahead before at half time although they did get their just deserts on 55 minutes when Ben Watson got the winner from a corner. Roberto Martinez tactically out thought the Spurs manager Andre Villas-Boas (AVB) from the kick off. Spurs never got to grips with Wigan’s flexible formation. Wing backs Jean Beausejour and Emmerson Boyce nullified the attacking threat of Gareth Bale and Aaron Lennon. The away team got on the ball and denied their opponents the space to play their normal attacking game. 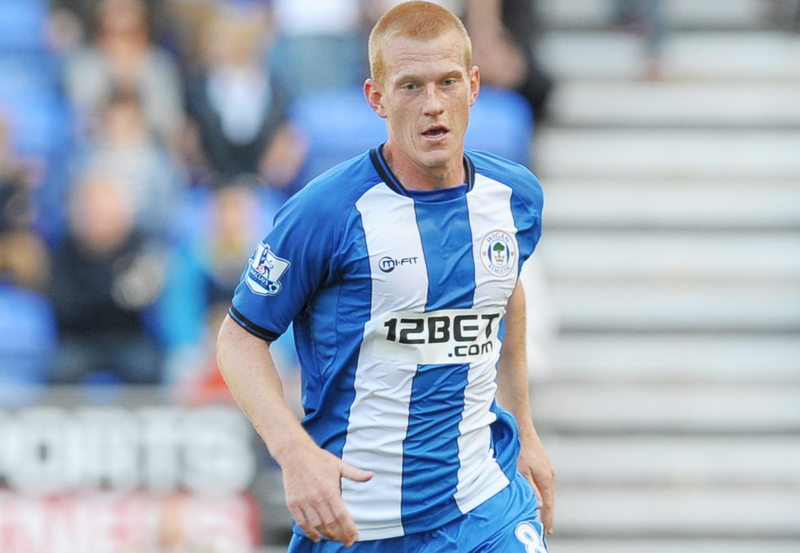 The much maligned Ben Watson was drafted into the side to replace the injured James McArthur and he produced an accomplished passing display against so-called superior opponents. Arouna Kone was a constant threat to the Spurs defence and on another day might have scored two or three goals. He was at the heart of many of Wigan’s best moves, on 27 minutes he played a great one-two with Franco Di Santo on the edge of the box but his powerful shot was too near to Brad Friedel. On 33 minutes after a darting run, he played in Shaun Maloney but with only Friedel to beat the Scotsman fired straight at the keeper. Shortly before half time Kone got to the by line and dragged the ball back for Maloney, who stepped over the ball, and Watson fired over from the edge of the box. Wigan had the upper hand and should have been two or three goals ahead before the break. In contrast, Spurs attackers rarely got beyond Wigan’s back line or stretched keeper Ali Al Habsi. Spurs may have been missing the attacking threat of Moussa Dembele in central midfield but in theory they have much greater strength in-depth than Wigan. It will be surprising to some that the Latics played with a greater intensity than the home team. Wigan’s winner came on 55 minutes from Maloney’s corner, when under pressure from Kone, the Spurs keeper Freidel could only push the ball out to Watson who side footed home from seven yards out. AVB did have the opportunity to change things around when they went a goal down, but instead of going with two strikers, he only replaced his top scorer Jermain Defoe with Emmanuel Adeybayor. As Spurs got more desperate they did manage to get some good crosses into the box but only once looked likely to score when James McCarthy cleared Steven Caulker’s goal-bound header off the line. Wigan looked dangerous on the counter attack as Spurs went to three at the back. Maynor Figueroa fizzed a free-kick narrowly over Friedel’s cross-bar and Jordi Gomez, on for Di Santo, had a couple of half chances. The final result was a fair reflection of the afternoon’s proceedings and will be especially pleasing to Wigan fans who suffered the ignominy of a 9-1 beating in 2009. Spurs were booed off at the end but Wigan’s players should get full credit for a deserved victory. In previous weeks Roberto Martinez’s team have been producing some good performances without always getting the results. This latest performance shows that the team are clearly capable of establishing themselves in a mid-table position. This entry was posted in Andre Villas Boas, Ben Watson, Spurs, Wigan Athletic and tagged Andre Villas Boas, Ben Watson, Roberto Martinez, Spurs, Wigan Athletic. Bookmark the permalink. Martinez outwitted AVB. He certainly won over him, strategy wise. His masterly tactics paid off. Yes, Wigan did teach us many things about how football should be played. I have never seen Spurs play such bad unintelligent football. I think Martinez is a top manager who has done wonders at Wigan with limited resources. He certainly outwitted AVB yesterday. I’m sure he will one day manage a top four club in England or Spain, but I’m hoping he will stay at Wigan for the next few seasons.